For those accustomed with the distinct aesthetic of Nike’s repleted line of signature basketball sneakers, the Nike Air Max2 CB’94 is set to make a return next month. Although the silhouette has been slightly modified to suit a more modern market, the new iteration returns in original Phoenix Suns colorway for the first time since the shoe’s namesake Charles Barkley wore them at the peak of his career. The model is composed of a bulky midsole, visible Air Max unit around the rear outsole with overlaid perforated leather panels leading towards an elasticated lace column. The shoe’s white leather upper leads through to a performance fabric tongue with original rubber insignia and royal blue coloring used sparingly on the outsole and lining. 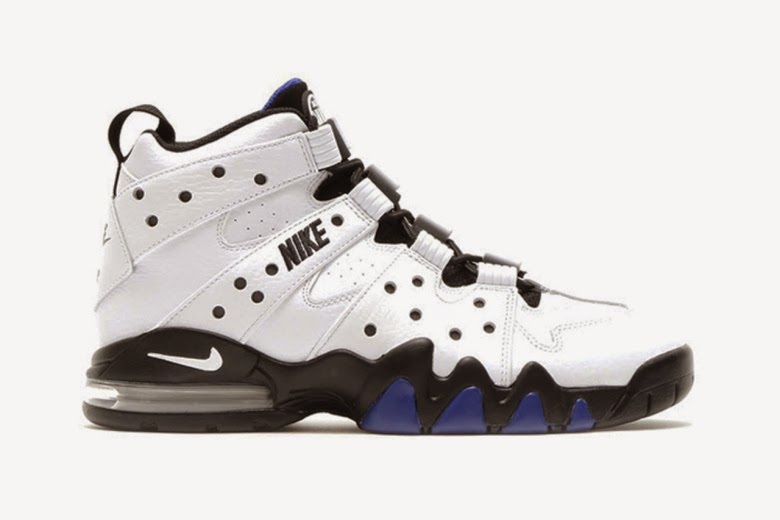 The Nike Air Max2 CB ’94 in OG White/Black-Old Royal will be available to purchase worldwide from June 5 costing $140 USD. Stay tuned to Nike’s official website for updates on where you can get your hands on this coveted model.